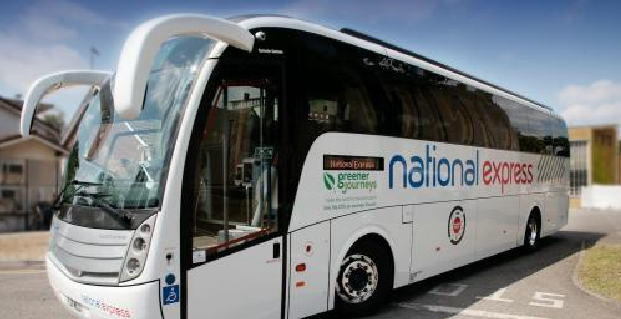 A Greener Journeys branded National Express coach and a Stagecoach Hybrid double-deck bus took part in this year’s Bridgestone Eco-Rally on Sunday 31 July. This annual event, in association with Start, used high-profile locations and celebrity drivers to showcase the very best in present and future transport on a route from Broad Street, Oxford to The Mall in London. Bicycles, pedelecs, rickshaws, bikes, superminis, family cars, taxis, sports-cars, limousines, vans, lorries, SUVs and our own bus and coach completed the line-up which gave the general public who lined the streets a glimpse of the latest clean and green machines. Speaking at the event, Greener Journeys’ Chief Executive, Claire Haigh, said: “Greener Journeys is delighted to be a part of this year’s Eco-Rally. Our vehicles on display not only represent some of the cleanest and greenest forms of public transport available, but they also free up our roads by removing up to 40 cars at a time. The event has had huge support over the past five years from almost the entire global car industry. Previous participants include the Tesla electric sports car, the electric MINI, Ginetta G50 EV, bio-fuelled sports cars from Lotus and fuel-cell powered prototypes as well as mainstream hybrids and F1 KERS style technology from the likes of Honda, Lexus and Toyota. For more information about the Bridgestone Eco-Rally, please visit www.eco-rally.org and for Start, www.startuk.org.